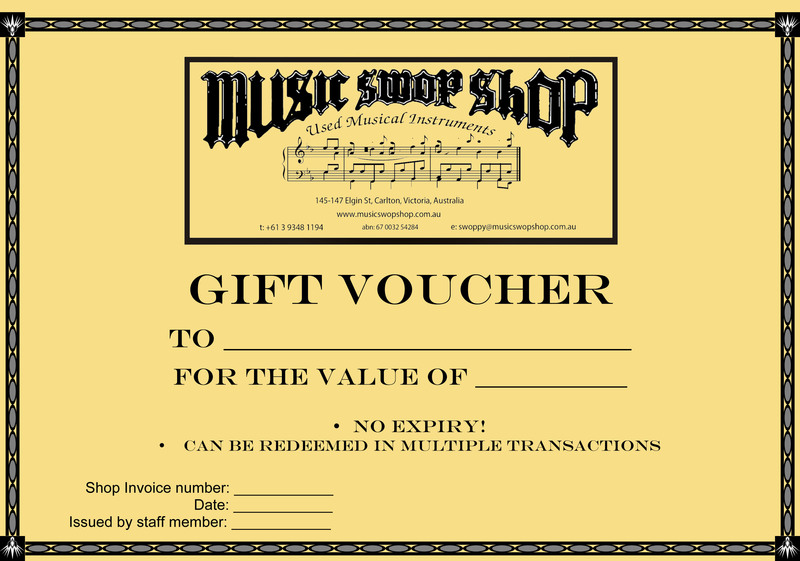 MUSIC SWOP SHOP - GIFT VOUCHERS! Can be bought in anybody's name! Can be used in multiple transactions and on absolutely anything in store! Can be purchased any time in store or over the phone. We can even mail the physical certificate to anyone free of charge! We keep a digital copy too so don't worry if you ever lose it, you'll still be able to use it any time! The perfect gift for your musician friends!